With the holidays fast approaching, it’s the time most folks begin winding down. But here at QuickBooks®, we never rest when it comes to improving our products and simplifying your work. 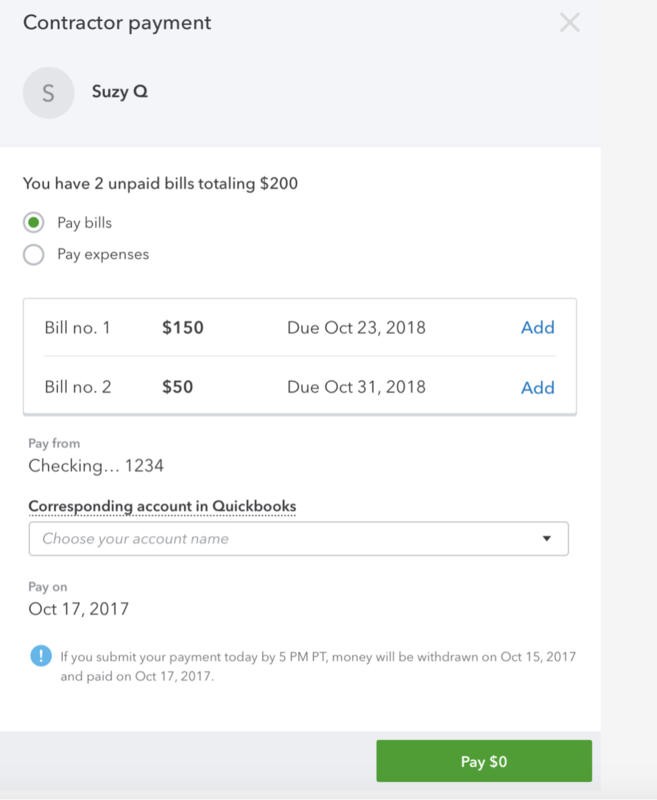 Alright, before the tryptophan kicks in, let’s dive into our exciting QuickBooks Online updates for this month. In a nutshell: Hiring contractors is a flexible, convenient solution for your growing business—if only the same could be said about paying them. 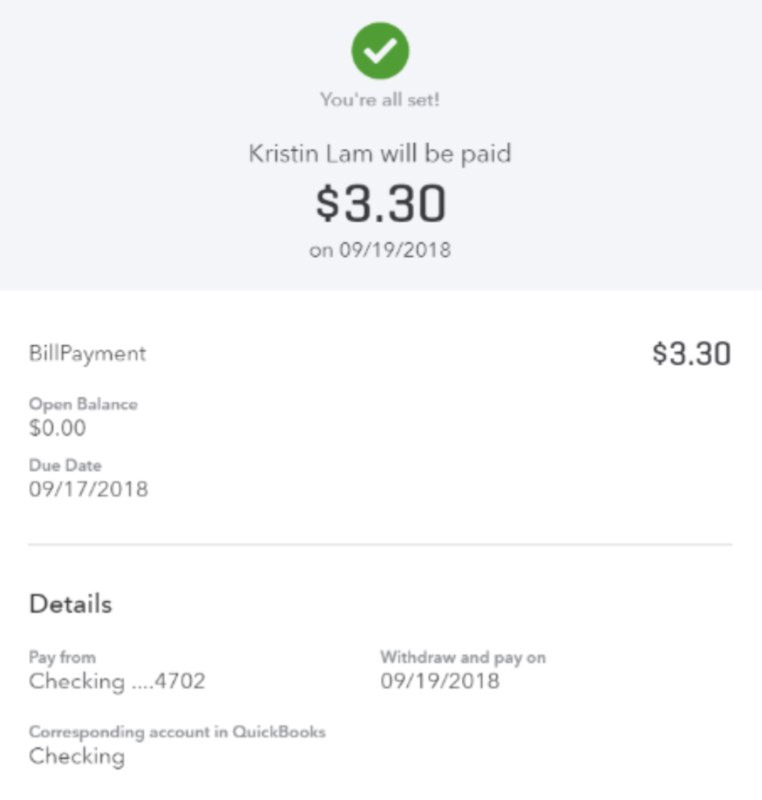 With our improved direct deposit experience in QuickBooks Online Payroll, you can now apply payments to unpaid contractor bills, and even edit transactions to get more control over the accounting. How it works: When you go to pay a contractor or vendor, we’ll show a list of unpaid bills, which can now be paid using direct deposit. Open bills that are paid in full will be marked as closed, which eliminate duplicate transactions and helps keep the books cleaner. We’ve also made it possible to edit direct deposits, both before and after they’re paid. This flexibility makes it easy to recategorize transactions and add details that improve organization. In a nutshell: On-the-job injuries can mean steep medical bills, which is why you need workers’ comp insurance to protect your savings and employees. We’ve made it easy to get a quote for Intuit’s pay-as-you-go workers’ comp right within QuickBooks Online. That way, you can secure the protection you need in less time. 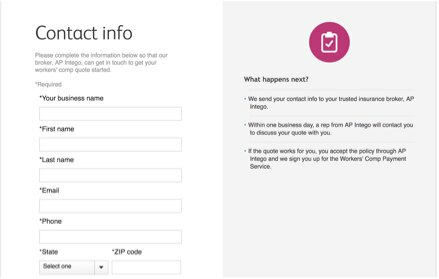 How it works: Within the Workers tab of QuickBooks Online, simply fill out a brief form with your contact info. We’ll pass along the form to our insurance broker, AP Intego. You’ll hear back with a quote in one business day, and you can then sign up and have workers’ comp seamlessly connected to your payroll. Learn more about our pay-as-you-go workers’ comp here. That’s all for now, folks. Until next time, as always, keep your feet on the ground…and your books in the cloud. Stop Using Excel for Your Bookkeeping! © 2019 Intuit Inc. All rights reserved. Intuit and QuickBooks are registered trademarks of Intuit Inc. Terms and conditions, features, support, pricing, and service options subject to change without notice.